‘Suckers’ or basal shoots emerge from the bottom of a sweet chestnut (Castanea sativa). Suckering is a response to disease affecting a tree’s vigour or to intensive pruning, aka ‘topping’, where the tree’s crown is removed. In each case the tree is attempting to regenerate from the base. 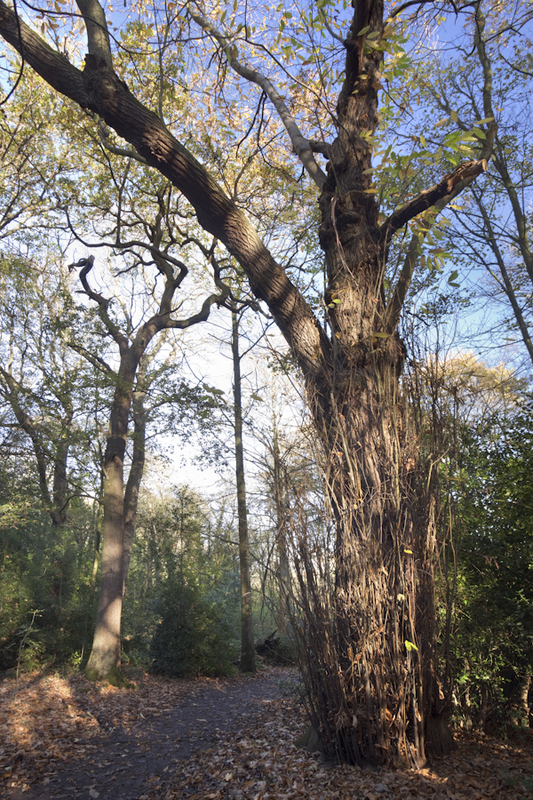 When occurring naturally it can be an indicator of significant age and is a characteristic of veteran trees.